Frailty of Compagno, the web-development server, is increasing. Danger, danger … . I am operating on chewing-gum and a prayer for now. I have to do this, but figuring out staging for coming up in a reliable way on the Windows Home Server is daunting for me. More urgency is required. I have successfully migrated Vicki onto a docked laptop. There are some software installs remaining for the Windows 7 Dell Inspiron 15, and WiFi roaming needs to be figured out. Everything is operating beautifully and I am jealous that Vicki has the most advanced system in the house at the moment. Before removing her 2006-vintage Dell desktop system, I repaved it with Windows 7 too. Worked like a champ, and we gave that system to our niece, Liza. I rolled Quadro, my Tablet PC, back to Windows XP from Windows 7 RC1. This worked easily, by using the restore discs for the Toshiba Satellite Tablet PC. I forgot about all of the craplets that Toshiba installed on this machine. I miss the improved Tablet functionality (and 3-d chess) of Vista, but being back on Toshiba drivers and a stable configuration is worth it. I gave up on the idea of having it be my e-mail machine and attempting to have more than one version of Microsoft Office was also too painful, but Quadro is in a stable, fully-functioning state now. Of course, I am far beyond Toshiba’s 2-year update commitment and must find a Windows 7 Tablet PC replacement eventually. I figure the later the better. Upgrading the Development Desktop will wait. There’s no technical reason to hurry and I will keep watching the desktop pricing-performance curves move. The biggie, beside running multiple VMs on a hot processor with fast RAM will be managing to drive a 36” display, once energy-efficient and affordable ones of those become available. I am going to unify all of the blogs I manage under a consistent Blogger template set. The features and layout will be the same, with changes in color scheme and symbols only. This means that it is all going to be table-based HTML 4.01 transitional too. I fooled around with CSS-only layout enough to know that I will stick with what works and solve the CSS problem later. The first stage is to adjust the Orcmid’s Lair template as the pattern. I am starting with a generic sidebar on the left, and some cleanup to what I call the title block at the top of the page. If I have that right, this post will drive out those changes to the main page and all posts from here on out. 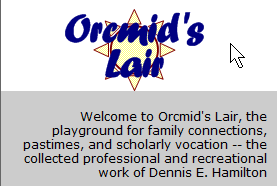 I will continue working on changes to the body text and comments on Orcmid’s Lair. The next stage is to propagate variations of the unified template to all blogs. 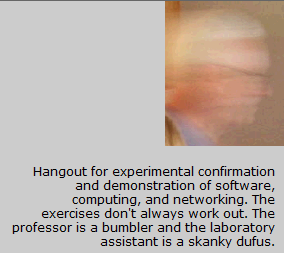 This will including Spanner Wingnut, my laboratory for experimenting with further changes. The format unification accomplishes two things. First, I have been resisting blogging over unhappiness of the formats. I wanted something more pleasant before investing in more posting, especially on Vicki’s blog and my nfoWorks: Pursuing Harmony blog. Secondly, once I have migrated Spanner Wingnut successfully, whatever I had to do to establish a new template matching my desired style can then be replicated back to the other blogs. I want to host multiple blogs on a single web hosting account that has multiple domains implemented on a single site. I also want to retire the existing blogs in place. To continue to develop new, self-published pages on the same folder structure, I don’t think systems like WordPress will work easily. In general, I am reluctant to move to systems that generate pages dynamically and/or use directory-redirection techniques to map URLs to what the blog engine really uses. I learned a lot about exploring WordPress and more checking into Drupal also. At the moment, Movable Type looks like a better choice. The only way to be certain that I have found a worked case is to attempt to migrate Spanner Wingnut first. Once I have a working migration that allows Windows Live Writer authoring and multiple blog hosting, I will move over the main blogs, including this one. There will be some breakage. I will retire the current blogs “in place.” The new blogging system will generate all new pages. But the new-systems RSS feed will start anew and the archive links will not include the Blogger-generated pages. Also, comments will stop working on all “legacy” blog pages. I might find some sort of bulk change procedures to repair some of this later on, but it won’t be that pretty during the cutover. May 1 is no longer in the distant future. The big job is accomplishing migration of Spanner Wingnut and then one other. I need to migrate Vicki off her Dell desktop onto her new Inspiron 15 Laptop with docking for printer, LAN, keyboard+mouse, audio, and 24” widescreen monitor. This also means moving Office 2003 from her XP SP3 configuration to the Laptop’s Windows 7, finding counterparts for the applications that currently work for her, including FrontPage 2002 (see 1, above). My Tablet PC has been running Windows 7 RC1 and that is about to expire. There is no reason to use one of my Windows 7 upgrades on that machine because the manufacturer stopped providing the needed drivers before Vista. I could reinstall Vista (and play 3D chess again) maybe, or go back to Windows Tablet PC Edition 2005. This is all a holding action until I figure out what is a decent Tablet PC upgrade path that doesn’t cost a fortune. I have ambitions to replace my Desktop system with a hot multi-core Windows 7 64-bit kit. I want to use virtual machines for other operating systems and multiple versions of office productivity software for exercising ODF and OOXML implementations and their inter-conversions. I can also do better at development of software for multiple platforms this way. This is not something I’m in a hurry for, because I have to deal with my critical peripherals (HP Scanjet 7400C and E-MU 1820m) being supported. This should be on the end of the list. Of course, all of the transitions are to Google hosting of one kind or another. These all involve changing the domain name. I use FTP publishing in Blogger because I already have the domain names for my blogs, and far more, and changing domain name and/or hosting is not the kind of transition that works for me. What I need to do is disintermediate from Blogger. I desire a way to bring up some sort of blog publishing function, still usable with Windows Live Writer, alongside my existing blog directories on the servers where my blogs are now published via FTP from Blogger. I can then make a side-by-side transition from using Blogger as the intermediary for publishing to using a more-or-less direct self-hosted publishing mechanism. That is probably workable, and something I had always meant to do. Now I have an incentive I can’t ignore. Of course, I have no idea what I am going to do about comments on those blogs. I think about Disqus, but not real hard. We’ll see. And I still use Technorati tags despite every indication they are absolutely useless. But hey, I am driving out yet-another change to my Blogger template with this post. If there is reasonable $199 download-pricing for download editions of Office 2010 Home & Business, our SOHO computing needs will be satisfied by two copies, one for Vicki's business use, another for mine. (I may have to go the $249 package route to have it on my laptop plus desktop, while Vicki consolidates into a laptop-only-plus-network computing life, something I should be considering as well, now that I look more closely.) This will also go well with our finally upgrading to Windows 7 64-bit Home Premium (Windows 7 Ultimate for my technical needs) on all non-server machines. Although I probably won't run into it myself, the Microsoft Office 2010 Starter edition via OEM installations would also eliminate the need to install OO.o on new machines for relatives, except to the degree they prefer to have it for whatever reasons that matters to them. It should now become unnecessary to purchase a richer version of Microsoft Office simply to handle occasional Word and Excel interchange plus and PowerPoint document interchange viewing. Likewise, nothing more may be needed for modest ODF interchange needs down the road. Meanwhile, Vicki has no tolerance for Microsoft Works (and may be unhappy adjusting to the Office 2007-introduced user interface too). I still have some old archives in Microsoft Works documents that I had better find out how to upgrade before they are no longer readable anywhere, too. And finally, I note the prevalence of OneNote in the Office 2010 packaging. I have withheld my use of OneNote on other than Tablet PC applications because of its narrower availability and the absence of a public standard for the format. I stopped using OneNote on the Tablet PC on realizing that I don't go through the extra effort of transferring OneNote-authored material to non-OneNote machines and the material I have is now locked-in on the Tablet. Later Tablet PC note-taking was done with Windows Live Writer instead. With OneNote now a stock component of Microsoft Office, I can reconsider my use along with the SOHO upgrade to Office 2010 (perhaps including a Windows 7 Tablet PC if I can find a reliable and economical OEM source). Update 2010-01-06T22:30: I was over-eagerly expecting the Office 2010 Starter to include some form of PowePoint. That is not the case, but I presume viewers will still be available for download. New Issues to Contemplate: It seems that affordable laptops don’t have provisions for easy swapping in as desktop machine by using an external monitor, closed cover, and external keyboard and mouse. However, a tablet PC can operate flattened out in tablet mode while slide out of the way in an appropriate “docked” arrangement. I must look into that. Until I started writing this post, I hadn’t looked at having a laptop rather than desktop as my all-purpose machine. This is really about having Outlook running in only one place and being able to travel with it. In non-Outlook work, server-mediated replication and synchronization is workable. I need to explore that much more carefully. Figuring in an eventual upgrade to a 30” monitor for desktop work may also create some conflicts with the most external monitor that a laptop/tablet is likely to support. I will still need a desktop system so smooth choreography of any dance between desktop and laptop needs to be understood better. This is different than my main blogs. I wanted to experiment with Windows Live and have a blog that employed the features and organization of Windows Live blogs. I have since become disenchanted with having a blog that is not on a server that I manage. Thanks to the capabilities of Windows Live Writer, I can successfully lift the posts from the Hideout and repost them in the place that is more-appropriate for me. This is different also. This is a sandbox blog that I use only for trying things out. It is different in style but it serves me as a way to try out various changes before introducing them on one of my current blogs. I have six blogs to my name, where I set the purpose and content of the blogs. These are various expressions of me. There’s one other blog that is an expression of my partnership with Vicki and her vocation as a potter, Millennia Antica: The Kiln Sitter’s Diary. My presence is as web master and technical support, along with contribution of my perspective on some of the activities that I participate in. But the purpose of that blog is to be part of Vicki’s expression of her vocation and love for pottery. I recently noticed that three of my favorite Microsoft products are to be no more: Windows OneCare (why are they still selling it?) , Microsoft Encarta, and Microsoft Money. That was striking for me and I have created a contingency plan for each of those products. 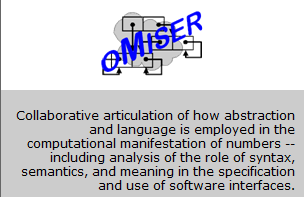 On reflection, it is not a new thing for various Microsoft applications to transmogrify and eventually disappear. Although I have never had an interest in Flight Simulator, I am still a devoted user of Microsoft FrontPage. If Microsoft Works were as clean and simple as the MS-DOS version, I would still use it. I have also used a variety of picture editors and photo editors that were bundled in various Microsoft products and that seem to come and go with each new computer system and occasional Microsoft Office upgrade. Some day, I suppose I will have to do without Windows Live Photo Gallery and Windows Movie Maker, especially as future versions/replacements demand hardware capabilities I don’t possess. Now, Microsoft is not making a fortune for me as an occasional upgrader of these products (though I quietly paid my OneCare subscription renewal each year). It is interesting that not until the abandonment of FrontPage was announced did I begin to feel the squeeze and the lack of an appropriate replacement for abandoned Microsoft products. (E.g., Expression Web is both more and less than what suits my current web-development practices.) Now I now need to look for three more substitutions and also look at long-term measures for protecting my systems and my electronic financial records as well as maintaining my web sites. For the three latest-discontinued products, I find that I have three different contingency measures in place. When I read that Encarta was to be no more, I resolved to go find a copy of the latest version. I have a version completely installed on my hard drive and it is a handy reference. I confess that I mainly use the dictionary (the default setting for the Encarta Search Bar kept handy in my Windows XP task bar). The encyclopedia is handy but it doesn’t get searched by Windows Desktop Search (a little incoherence there) and I find myself on the web (and Wikipedia) more often than in Encarta because that’s where Windows Desktop Search (and now bing) lead me best. I’m currently running version 14 (Encarta 2005) and I actually had one monthly update that I didn’t install until last week. The reluctance to update has to do with needing to be administrator when I do it, and I usually forget Encarta updates when I am running as administrator for other maintenance purposes. It is a demonstration of my unnoticed waning interest that I didn’t know I had one update left from 2005. Nevertheless, I wanted to have the latest and greatest if there were to be no more. Unfortunately, the latest version seems to be Encarta Premium 2007 and it is still pricey, even though pro-rated refunds were cut off on April 30. I settled for the less-expensive Britannica 2009 Deluxe with the hope that the included dictionary and thesaurus is as easy to use as the one I am abandoning from Encarta. Not Money Too. No, Not Money! The shocker for me is last week’s announcement that Microsoft Money will also be no more. I checked, and my oldest Microsoft Money backup is dated 1999 and it has entries from 1998-01-01. I tended to hold onto versions of Microsoft Money. I didn’t switch to Money Plus 2007 until the version I was running under Windows 98 couldn’t be installed on Windows XP as I was off-loading the Windows 98 machine at the end of 2007. I discovered that my version of Money Plus “expires” in September at the end of November. Ones activated this summer will have support extended through January, 2011. It seems like a no-brainer that what I want to do is install another downloaded version and continue to use it until I have a satisfactory replacement. I will also want to keep a copy around as long as possible to enable my use of existing records. I will need to discover how to export some of those for use in other products, or as spreadsheets that I can preserve in OOXML/ODF. So I have another Money Plus Home and Business download and a product key for it. I will install it at a point this summer when I am carefully backed up, exported, and ready to risk an upgrade. It wasn’t the most wonderful product, but it was also steadily improved over the time I used it, right from the beginning of its availability. It did deal with my dominant computer security concerns. OneCare also provided me with a great source of system-incoherence anecdotes, and I must recount some of those while I can still capture screen shots of the experience. Actually doing backups onto DVDs was not the most exciting experience, as much as OneCare made that possible. Once backup functions were taken over by WHS, the cleverly-named HP Mediasmart Server (with its Windows Home Server version of Windows Server 2003) now on the network, that difficulty was mitigated and there are now automatic, incremental backups every night. Still, OneCare works well and effortlessly for us, even if it reports that backups are woefully out of date (a new little incoherence on how OneCare has forgotten WHS is on the job). It was also great that Microsoft announced that all OneCare support agreements will continue until their expiration. That means mid-September 2009 here. 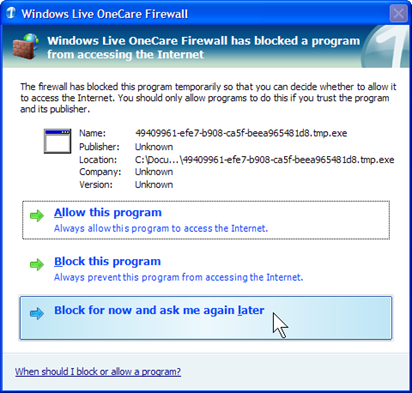 On the other hand, the promised Microsoft replacements for OneCare are not in sight. I believe the last promise was for around August. I am beginning to squirm. There appears time to find an adequate substitute, taking into consideration that Microsoft will offer some sort of solutions for some unknown degree of protection where I find it the most valuable for the computers here. Unfortunately, it is not clear that there is a decent non-Microsoft product that works here, regardless of the high reputation a number of Antivirus producers have achieved. The low reputation that is Microsoft’s automatic prize is apparently more myth than reality in my experience. On balance, OneCare works better than anything I have attempted to replace it with. Here’s how my search is working out so far. 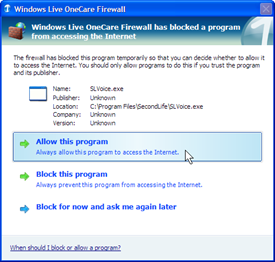 Since OneCare is to be no more, Windows 7 beta and Windows 7 RC not only had no provision for it, those releases were actually hostile to OneCare. So on Quadro7 I have been going through trials of other Antivirus products, partly to determine a good candidate to be installed uniformly on all of the systems here. None of the products tried so far seem to integrate well with Windows 7, which has apparently changed the rules enough that AV producers are having some difficulty. In particular, I have not found an AV product (even the Windows 7 directed beta releases) where Windows 7 reports that it is protected and the Windows Home Server concurs in reporting that my systems are protected. Meanwhile, on Quadro 7 I have gone through one trial of Kapersky and another of Trend Micro. I actually bought a retail copy of Trend Micro but Windows 7 chokes on that. Instead, I now possess an useless license since the Trend Micro beta for Windows 7 won’t accept the older-product registration code except when it installs as an update, and that doesn’t work on Windows 7. 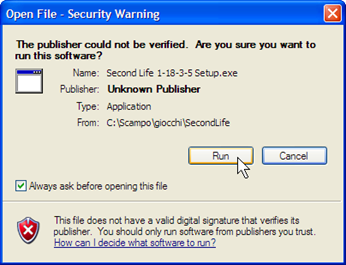 I’m moving on to F-Secure’s beta for Windows 7 right now and the trial lasts out past August. With luck, I might have a consistent Microsoft solution to deploy across all of the computers here. And if not, I will need to find a product that has an affordable multiple-machine license (as Trend does) and that doesn’t require me to use a web site to know my status (as McAfee Total Protection does). There are clearly interoperability issues here, and the level of coherent integration is a challenge. It is a challenge for Microsoft too, but as one might expect, OneCare integrates more cleanly and, apart from an apparently-inescapable level of Microsoft paternalism, works most consistently and coherently than anything else I have attempted to use in its place. Update 2009-06-15-04:06Z Correcting an expiration date for Microsoft Money. Punishing Standard Users: When Will It Stop? There is a slippery tug-of-war going on between Microsoft and third-party application developers. This even has Microsoft application-product and developer-product development teams fighting/ignoring/neglecting/throwing the mud that is piling up on the user doorstep. I'm talking about the effort to have users operate safely and snuggly in Standard User Accounts (SUA) and the actions taken by application developers and their employers that completely fail to respect the user in this matter. No matter how much has been said and published about how to deploy applications in a way that works easily for standard users, there are continuing expectations that users run as administrator all of the time. This is made the simple case, reinforcing a practice that we all know to be unsafe (although Vista has a mitigation that some people insist on disabling). Here's an example of what I mean. I choose it because it is typical and because it all happened while I was looking for a way to illustrate this. Second Life is representative (although no less disheartening). The Setup: I haven't been on Second Life for a while, which means there is doubtless a mandatory update that I'll be required to install before I can get "in-world." This is so predictable that it actually keeps me away from Second Life even longer once I have been away for more than a week. I start putting off the pain of downloading and installing another release. Today I was doing some system clean-ups and celebrating the new power-backup unit I installed after a series of storm-related power hits defeated my old battery backup. As a reward, I was tidying up some loose ends after running system tune-ups and catching up on important things like my Facebook presence. I decided to check into Second Life and see what's new. When I brought up the application (and I was running as administrator because I had been installing some other updates), I found a message that I have never experienced before. The message was in a corner of the Second Life client user interface. I hadn't logged-in yet, but the application apparently checked on-line for an update and it had that message for me. I went ahead download the 1.18.3.5 release into a location on my computer where I save Second Live releases. (I usually keep the current one and its immediate predecessor, along with screen shots of my experience.) Now, I usually don't turn on any automatic check for updates, and I don't recall ever being offered an option in the matter. Since Second Life is an on-line application, I am not surprised. I am surprised this showed up before I opted to connect to the on-line system though. Not So Fast There, Sparky! I downloaded the announced update while still elevated to computer administrator, but I didn't install it. I was excited by that "now the choice is yours" phrasing. I wanted to see that in action. I clicked the Connect button to sign into Second Life. Oh, what have we here? The usual. Not exactly a choice, huh? This is the dreaded message I have come to expect. Since I don't want to do this as an on-line administrator, I clicked Quit. I already have the update. I can install it when I am good and ready. My previous experience using the Download button is that Second Life will download and attempt to run the install. Because my computer account is normally set to "limited account" the install will fail and I will still have to go to the Second Life site, log in to that site, download the new version, and then install it myself while temporarily upgraded to a computer administrator account. The new Update Available notice has saved me the need to hunt down the download on my own. That is a nice improvement. Say Stranger, New in These Parts? When I opened the Second Life client and got to the download button again, the download didn't even start: Second Life tripped over my firewall. That's interesting because my firewall is already conditioned to allow Second Life access to the Internet. What's even more interesting is that whatever program is being used to install the dow nload, it is one I (and OneCare) have never heard of. I can go no further without checking with OneCare. 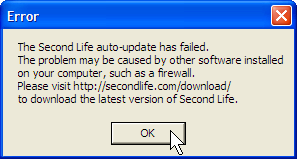 I could take Second Life's advice and install using the download that I already have. I certainly don't want the auto-update to succeed. I do want to understand why it failed in this particular way. I switch users and quickly log into a computer administrator account to consult with OneCare on the matter. I do so, and OneCare's notification comes up immediately. As a computer administrator, I now have something to say about the program that was blocked. Now, what program is that exactly? Let's see, it is not signed code (that's what Publisher Unknown means). There is no version or company identification. The name of the program is a made-up tmp.exe with a random name. In fact, the program is in my user-account Temp directory. None of this is reassuring in any way. There are two things going on here. First, I am willing to believe that the Second Life client creates a copy of a down-loader in the Temp directory so that the install can happen atop the Second Life location without weirdness. I am almost willing to give that some credence. Secondly, I am satisfied that the update would attempt to run automatically. There's no danger that the down-loader can accomplish anything, however. Writing to C:\Program Files\Second Life\ on my machine can only be done under an Administrator account. I'm not operating in one of those, which is what I had started out to demonstrate until the firewall intervention occurred. So, the easiest way to install all of those interminable Second Life updates is to be running on-line as administrator without a firewall. Clearly, the Second Life folk know that and they design that as the inviting case. Look, they suspect that their connection attempt with this weird little program is blocked by a firewall. That's what I mean by the slithery tug-of-war. I also hate it when applications check automatically for updates and then nag me about it. Being denied access to the service until I install one of the interminable updates is worse. Of course, the fact that I put up with this in order to enjoy Second Life eye candy and all the in-world denizens just shows how tempted I am. Even I, a devout Standard User. Apparent convenience trumps security and safety. Almost all of the time. And we mostly put up with it. Today's experience has me thinking that I would be better off not playing in this game with the Second Life developers, regardless of any seductive appeal of their application. But let's see how well I do when I employ my safe practice to install the update and finally return in-world. This is the file I downloaded earlier. The message applies to that file. See how complacent I am? The code is not signed, and I don't do anything about refusing to accept unsigned software, especially when downloaded from the Internet (although probably under safe conditions). As you see, I am going to go ahead and install it. I am now running with my account switched from Limited User to Computer Administrator. I am not on-line, although I am connected. My intention is to install and run the application once while I am administrator so I can condition my firewall for the new version of the application. Oh yes, installers have a habit of wanting to access the Internet too. I often experience requests to condition my firewall before a Setup program gets very far. That is also true here. No surprise. We haven't even started up the program and already there is Internet activity. On continuing, the revised Second Life version starts up for the first time. Oh, What's this? We get all of this way and now I am given an absolute click-through requirement to accept a lengthy Terms of Service agreement. That seems to be one of the improvements of this release. I couldn't even get it onto my clip board for closer review later. You can see I selected the text, but I couldn't get it where I could preserve it. And it is long. And mind-numbing. 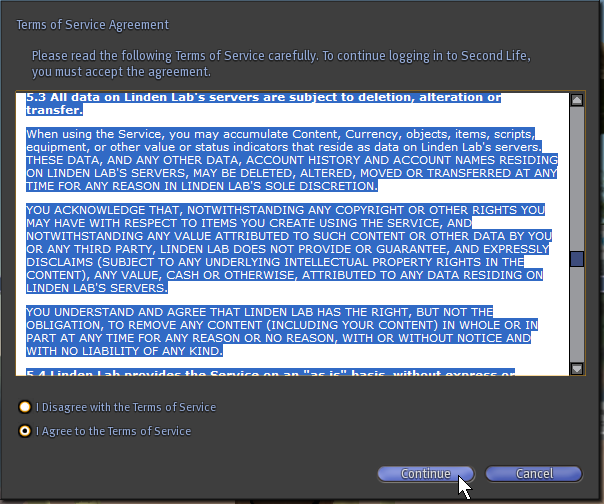 The part that I have scrolled to is section 5.3 where I am informed that everything that I have done on Second Life, any Linden Dollars that I happen to have, and any credit for any purchases can disappear at any time for any reason whatsoever. Well, I'm certainly happy that they require me to promise to have read this terrible document before I am allowed to continue on and connect into Second Life, the world. 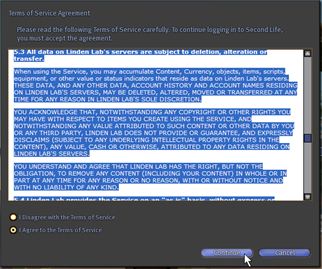 After my exploration was over, I went to the Second Life site and did manage to find a web page with the Terms of Service at http://secondlife.com/corporate/tos.php. I can't testify that it is the same document, but Section 5.3 is definitely the same and I did download a copy for my reference. About now, I am wondering why I am continuing to put up with this. I wander around in-world for a while, mainly pruning my list of landmarks of places that seem to be dormant or not that interesting. OneCare let me know about a second program not long after I allowed the main Second Life program to have access to the Internet. For some reason, the extensions to allow direct voice audio in Second Life are provided or installed using a second program, one that my firewall wants me to consider whether or not to allow. I opt for the program to run. I didn't put on my headset and microphone nor did I find any avatar to talk to this way. I am grateful for this little addition though. When I closed Second Life, I experienced a frightful system slow-down. Everything turned to molasses. Windows were blank and took forever to paint, that sort of thing. At the end of that prolonged seizure, I received a wonderful message. I have been waiting almost two years for one of these. It is worth a completely separate blog post by Professor von Clueless, but here is the message. I wanted a real-world example of one of these and now I have it. Thanks, Second Life developers. "UAC stands for User Account Control and is the new technology in Windows Vista to provide users with different level of administrative rights and privileges. UAC main purpose is to support a more secured environment then what Windows XP offers. "Although I can agree with these opinions I try to have it enable as much as possible simple because that will be the most likely scenario for many of my customers. In addition, from a general point of view I support it because by default all users (except Guests) are logged on to Windows Vista as standard users and get extended rights only when needed. When I need to do something different, such as install new software or update downloads from other sources, I will carry out the download, parking the file in a safe place that I can use for any future re-install. Before installing, I switch my normal account to being a computer administrator and I install under that account. This is to ensure that the software installs properly for operation under that account and not all accounts, if possible. Second Life, as do many other applications, installs for all accounts on the machine, including all Administrator-group accounts. When I detect this, I remove all icons, shortcuts and start menu occurrences from "all users," confining them to my normal account instead. Automatically installing for use from all accounts on the machine is another action that punishes my efforts to be a Standard User and only allow pure administrative activity in my separate administrator account. 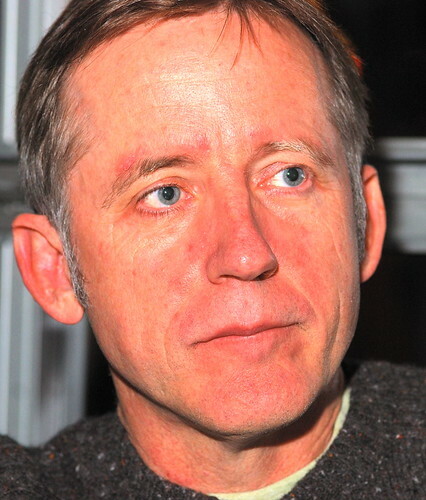 I was thrilled to learn that writer Ed Bott would be in the Redmond gravity well, having a Geek Dinner in nearby Kirkland Center. Not living near the epicenter, I have to plan cometary approaches from my West Seattle Oort zone via clever public-transit routings. In this case, it was great to arrive in the center of suburban Kirkland with its delightful town center, reminiscent of the pedestrian centers that are common in parts of California. Having been a fan of the books and blogs that Bott publishes regularly, I had a little list of questions and topics for this greet-and-meet opportunity. 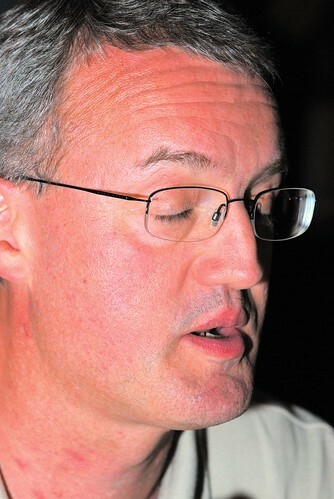 I was also delighted that this was the second recent Geek Dinner that Media Center guru Charlie Owen organized. Unpredictedly, this turned out to be a small, casual pizza dinner that extended past closing to the Starbucks at the corner. Beside myself and Charlie Owen (not pictured), there were BjarneD, bringing a server-side performance slant to the conversations, and Intel's Alan Cheslow, with long experience in digital media. Ed Bott was still decompressing from the strenuous fact-checking series that he's concluded on how DRM actually works in Vista. The conversation naturally revolved around digital media, its protection, and the different business models that do or do not work now and may work less in the future. One interesting question was whether music (e.g., radio and MP3s) and video (e.g. television and movies) are comparable in terms of how listeners and viewers rely on the different forms. This was the same day that Amazon MP3 was announced, so we had little information yet. There was discussion of Media Center, Media Extenders, the soon-to-arrive Windows Home Server, and Vista, always Vista on my mind. Afterwards, I had a difficult time with my few photos. I had some setting problems with my camera and flash that led to extreme ruddiness of the kind that only medical journals might prefer. I struggled to clean up the images but the result is still unsatisfying. 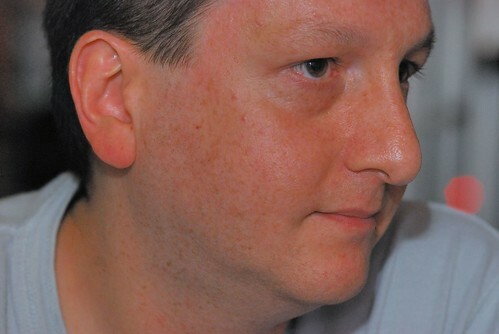 It is clear that the Nikon D80 "vivid" setting doesn't work so well under artificial lighting and high ISO setting. It looks like a kitchen science project for Mr. Wizard to figure out how to avoid this. I'm pleased to have my Windows Vista Inside Out autographed now. I have difficulty finding material in the tome, and I need to actually read it. In addition, it didn't dawn on me until this dinner that the obvious thing to do is put the PDF from the CD-ROM on my hard drive and let Windows Desktop Search provide full-text search into it. That along with PDF search should be very handy. Duhh. You are navigating Orcmid's Lair.